Enter live tracking menu. You can check the device position, living map will show if it is tracked by "GPS" or "LBS"
Historical route can check the nearest three month routes. Any period can be seen clearly. Enter geofence menu, Name the fence first, enlarge or smaller fence radius by"+" or "-"remarks and save it. Center number phone will receive message when the device is out of the set geofence. Enter voice care menu, device will call the center number automatically. When the call is connected, smart phone can catch the voice from device side. Warning message: can check the every message from device, for example: shock warning, IOS warning, offline warning, low powered warning, out of geofence warning. NOTE: If you have any difficult in using it , please contact us for free. we will answer you in 10 hours! NOTE :a weak signal will lead to the abnormal situation,the address of china is factory position.so we suggest you need to set the shock sensitivity to the highest in the settings,then live tracking.the device will show your position of gps tracker.if you have any problem.please firstly contact with us by email.we will give you a satisfied answer. Smart GPS Tracker:Perfect for tracking vehicles, children, pets,drone and all you are very concerned about. Remote shutdown, easy to operate, support telephone alarm and vibration alarm. 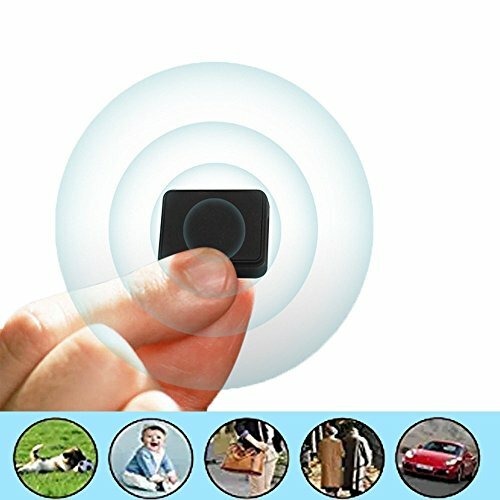 Mini GPS Tracker:1.53" × 0.9" × 0.39" ,Mini size,Portable to carry. Historical route can check the nearest three month routes. Any period can be seen clearly. Real time tracking, when you car away from the design area, it will automatically send alarm to the phone APP. Wireless Smart Locator:Click on voice care menu, it will dial the center number automatically, When the call is connected, smart phone can catch the voice from device side. Support both Android system and IOS system. This tracker should be used with FINDME-EVER. Scan the QR-code in user manual then download it.you also can find it in Apple Store. NOTE: SIM card not included! If you have any questions about this product by ZHLL, contact us by completing and submitting the form below. If you are looking for a specif part number, please include it with your message.